As corujinhas estão em toda parte. Essas foram para as professoras da Sophia e da Gabrielly. What a beautiful set! 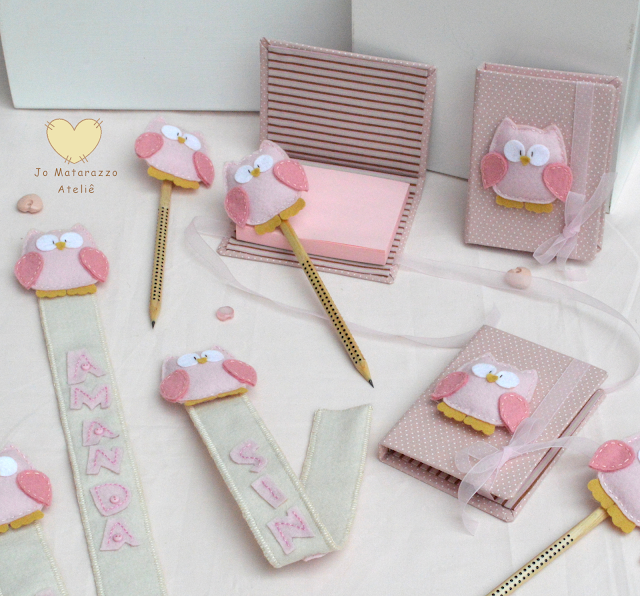 Cute, fun and very delicate at the same time. Your work is perfect, neat and very creative. 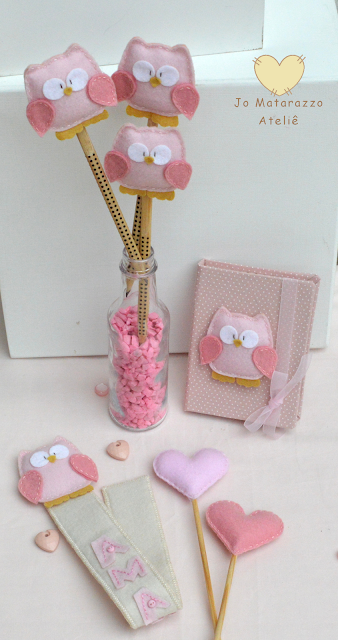 Love the combination of pinks on tiny owls and the use of running stitch.